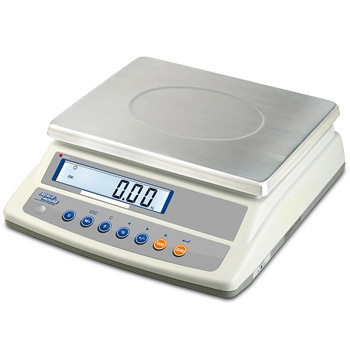 Portable multifunction scale, with dual display for commercial use. Counting, % weight, weight or pieces, or % quantity check, and totalisation functions. Backlit LCD dual display (client/operator side, ideal for commercial use) with 6 digits 24 mm high. Membrane waterproof keypad with 7 digits and acoustic feedback. Stainless steel 230 x 300mm plate. Built-in rechargeable battery (about 70 h battery life) and 230 Vac power adapter. Packaging: 415 x 380 x 190 mm size - approximate weight of 5 kg. Master Pack: 2 x (415 x 380 x 190 mm) size - 2 x approximate weight of 5 kg. (*) CE-M divisions are obtainable only with the relative options. NOTE: ACCREDIA calibration certificate available upon request. 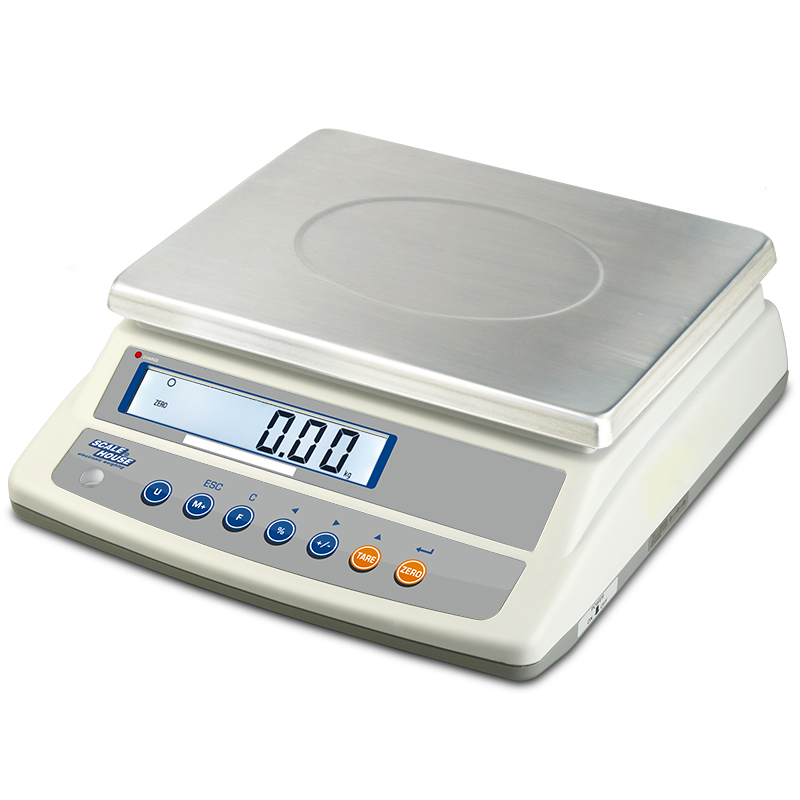 ECEM CE-M 3000e approval for class III or IIII scales, with capacity from 1 to 30 kg.